FEATURE — Getting started mountain biking isn’t the easiest thing in the world, but whether you’re a newbie or an old hat that’s just been off the bike for awhile, thoughts of off-road adventure may inspire you to buy your first mountain bike or dust off your trusty steed and head into the hills. In the beginning it’s tough. It’s going to hurt a bit. 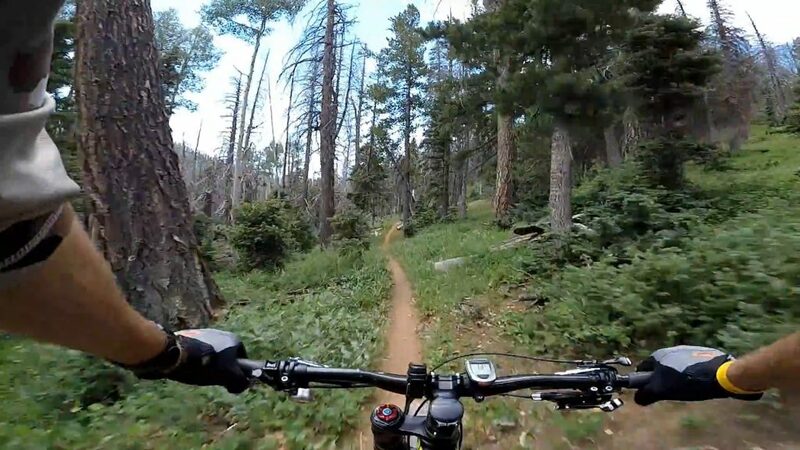 You’re going to feel odd on the bike and things may not flow all that well. You may feel clumsy, too tired to attack an obstacle or just plain confused about how to even attempt a move that will keep you going forward instead of getting off and pushing your bike. But seeing that mountain biking is one of mankind’s greatest inventions (in the author’s humble opinion) it’s so worth the effort to overcome those tough times to be able to relish the body-rush that is pedaling your bike on some purpose-built-trail that weaves through a forest or around desert rocks. 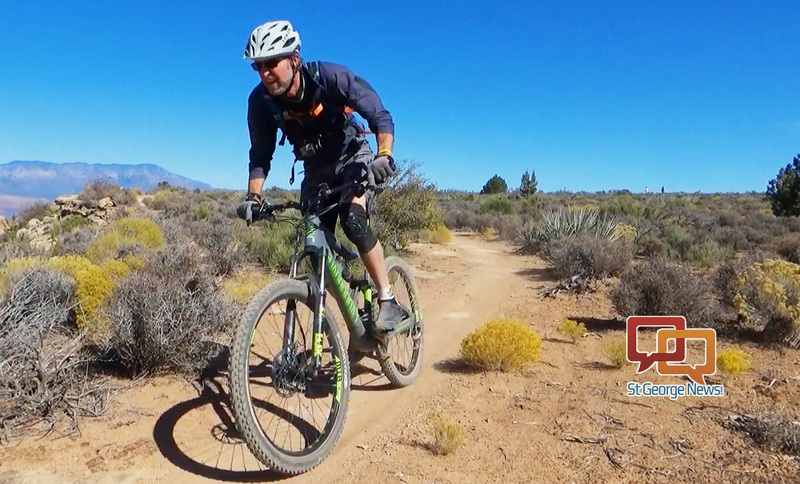 There is no shortage of trail and terrain options to mountain bike Southern Utah and a bike shop in St. George can help equip and direct you. Feel the ride. Watch the video top of this report. For the person who’s been off the bike for a while, the old saying, “It will come back to you, it’s just like riding a bike” pretty much rings true. However, the brain might remember how to “ride the bike” but the legs and lungs forget pretty fast. Luckily, muscles are gluttons for punishment, so they usually jump back into shape fairly quickly as long as you don’t give up on the effort too soon. Ease into it and trail-elation instead of trail-overexertion will come back to you. For the newbie it is usually a bit more of an intense learning curve. Not only do you need to get the lungs and legs used to actually riding a bike – even if you’re in good shape, riding a bike will tax you in different ways than you are used to – you will need to learn how to “English” your bike, which is using balance and body position to maximize pedal power and traction to succeed at clearing problems (obstacles). You’ll need to learn what gear to use in which situation. Here’s a hint: It’s probably a gear or two higher than you think you need, since torque keeps power output smoother and the bike more planted than a low gear that spins so fast, you lose momentum, or it makes the front of the bike too light so it wanders off line. Whichever your situation, don’t let your riding buddies dictate your pace. Take your time and increase your speed and daring as you feel fit. Burn out from overdoing it or crashing because someone dared you to try something you weren’t ready for is a real thing. Take advice where you can get it and apply it with practice. Skills and endurance will build. Fortunately, local bikes shops like Bicycles Unlimited are there to help you get on the right equipment, and learn the ins and outs of mountain biking. Ask questions. They can help you with advice on skills, bike tuning, clothing, nutrition and hydration and trail info to make your first forays on the bike less of a chore and turn them into the enjoyment of one of mankind’s greatest inventions. Written by JAY BARTLETT of Bicycles Unlimited in St. George. Note: This article first published in St. George Health & Wellness Magazine. Bicycles Unlimited | Address: 90 S. 100 East, St. George | Telephone: 435-673-4492 | Website | Facebook. St. George Health & Wellness Magazine | Website. Very nice. This is a part of why we retired in St George. Poor little Dumper. How much of your very limited brain power did it take to come up with that?